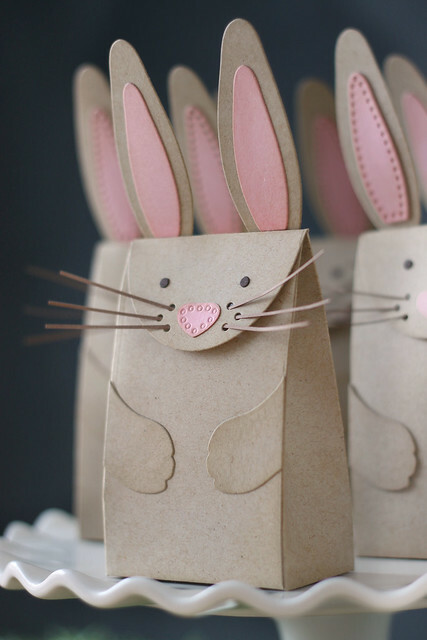 I would shrug if I saw one bunny bag on a blog, but don't they look cute all together? 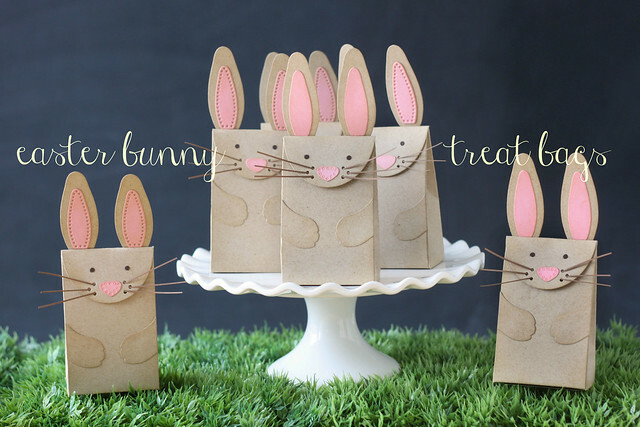 All I needed to create them was a few sheets of paper and the Papertrey Ink bunny bag die. I love that they are fairly small - means that the 3 and 4 years olds in Maia's class will think that they are getting a nice big treat, but really I could only fit 2 peeps and a handful of jelly beans inside. I think the other moms will thank me. I've seen my own preschooler hopped up on sugar (that wasn't another bunny joke, I swear) and it isn't pretty. I am sure that Maia hopped up on sugar is a sight to behold. 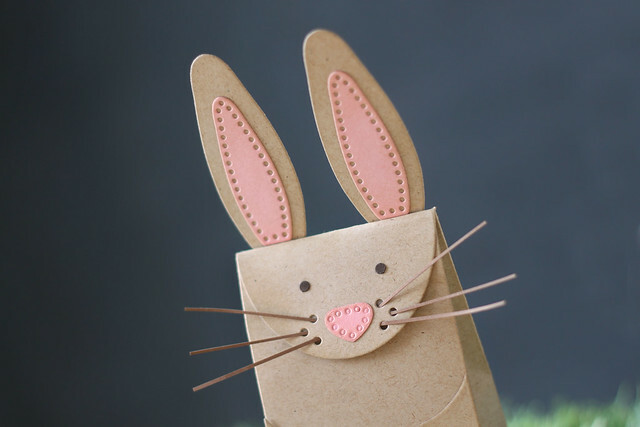 These are adorable. Those other preschool moms probably hate you. Can't top that Roussakis lady! Ha! Seriously adorable! Oh my gosh, those are so cute! I love that grass too! Are those the grass squares from Michaels? I've been wanting to purchase them but I kept putting it off. They look amazing on camera.